Are you up for the extremes? Park Inn by Radisson By Radisson Davao recently had a bloggers' launch of their newest offering: The RBG Xtreme Meal. It's a gigantic meal set which includes a 20x30 inch Super Pizza, 1 kg Giant Burger and a Monster Trifle with one pitcher of drink. 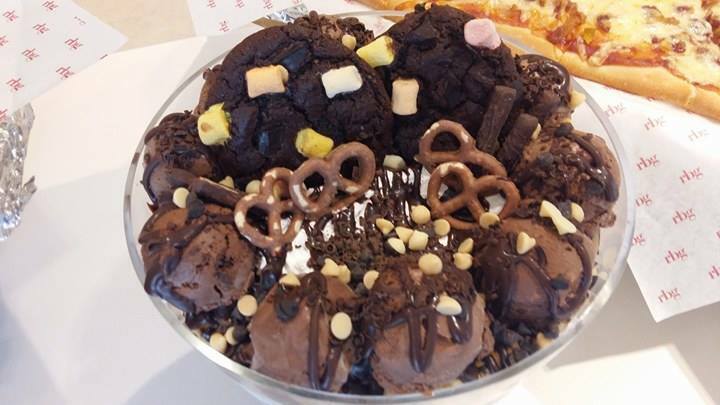 You can have all these for only Php3499 and it's good for 10-15 persons. This offer is limited until August 14 from 11:30 am to 10pm. 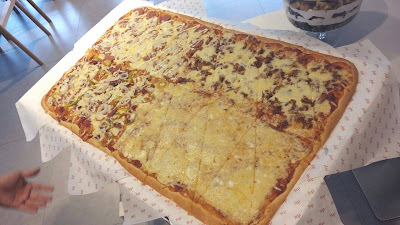 Of course you will also love the 20x30 Super Pizza which has a combination of 4 flavors : bacon & cheese, four-cheese, pepperoni and supreme. Meanwhile, Monster Trifle is the ultimate dessert. 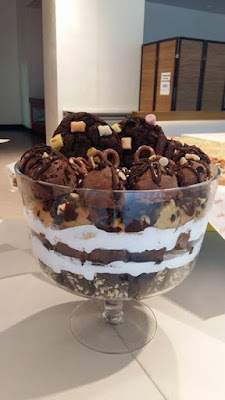 A gigantic bowl filled with 4 luscious layers of brownies, mousse, cookies and ice cream. 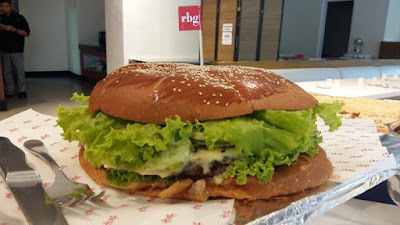 Couldn't ask for more! 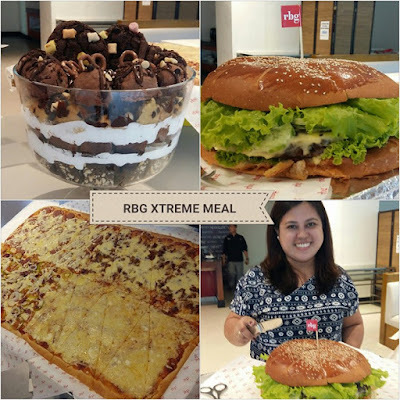 Guys, believe me when I say that RBG Xtreme Meal is so filling. 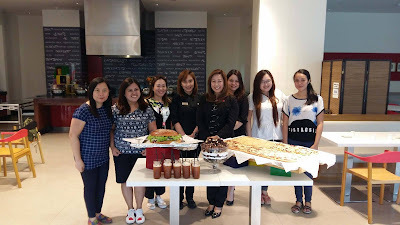 We were all super busog (full) after the event. Bring your families and your barkada, you sure would enjoy this monstrous treat.